Alpina has just made its 4-Series-derived B4 S even faster – and even more special. The regular B4 S’s 3.0-litre twin-turbo straight-six has been tickled up from 434bhp to 445bhp, while torque swells from 487lb ft to 502lb ft all the way from 3000rpm to 4500rpm. That’s enough muscle to clobber even BMW’s own M4 CS around the chops. 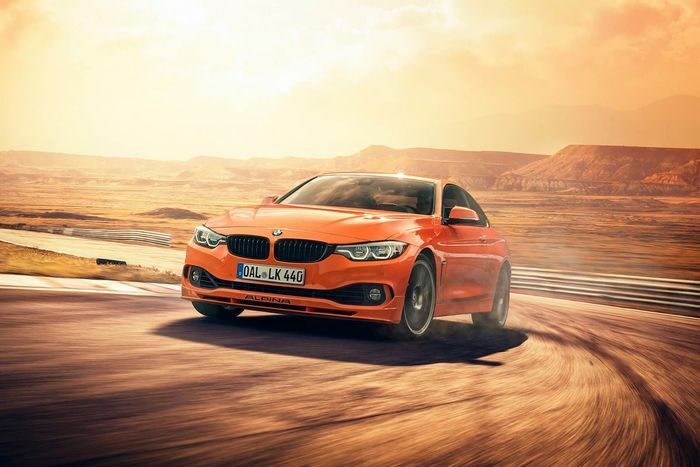 Built in a limited run of 99 cars across coupe and convertible body styles, the coupe comes with either rear- or four-wheel drive. With the latter, the Edition 99 will slingshot to 62mph in just 3.9 seconds. It’s 4.2 seconds with rear drive. 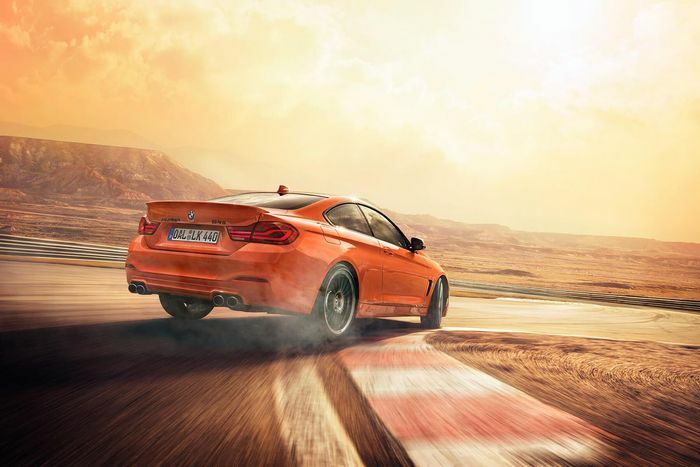 The rear-driven car gains a little top speed over the heavier four-wheel drive one, though: 190mph plays 188mph. Think of the autobahn gains (bro). The slowest-launching of the bunch is the soft-top, which takes 4.3 seconds to reach 62mph, but it splits the difference on top speed with 189mph. Weight has been cut at the back thanks to an Akrapovic titanium exhaust, which should both look and sound awesome. The wheels are regulation Alpina items with all of the spokes, but you can spec a BMW Alpina 1970s heritage-inspired paint job that coats the top half of the bodywork in a dark grey wrap and adds a matching dark grey finish for the wheels. 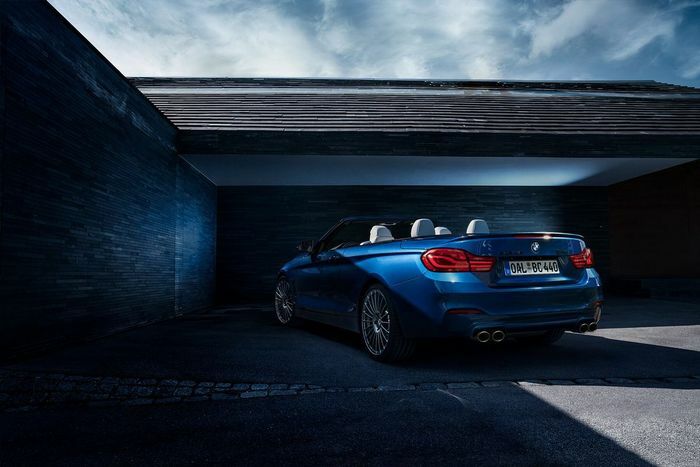 The coupe comes with a “substantially revised” version of Alpina’s Sport Plus suspension as well as extra chassis reinforcement, while the convertible keeps a slightly softer setup. Five body colours are available including Edition 99-specific Grigio Medio and Fire Orange. The former just means ‘medium grey’ but obviously sounds much more exotic in Italian. 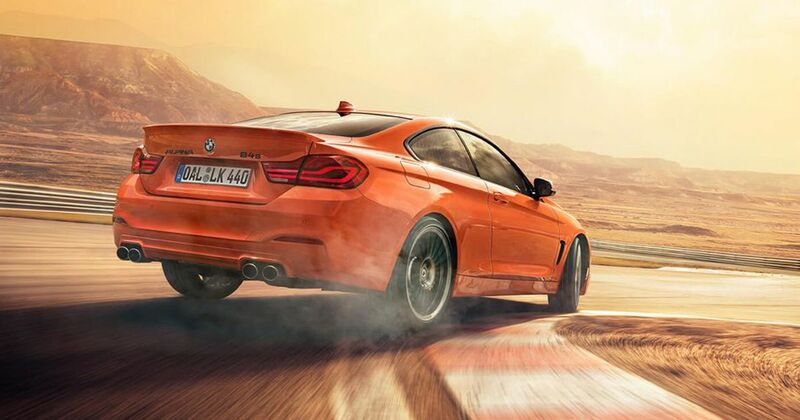 It’s a BMW colour, apparently borrowed from Ferrari and already used on the M4. Each Edition 99 gets a plaque to identify it, but sitting in the hand-finished Alpina-spec interior you won’t often need reminding what it is. 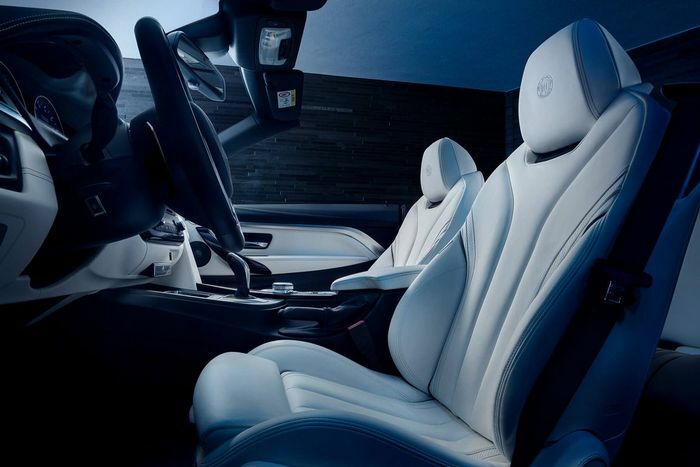 The convertible gets plusher leather and Alcantara seats while the hard-top has firmer, more aggressively bolstered sports seats.